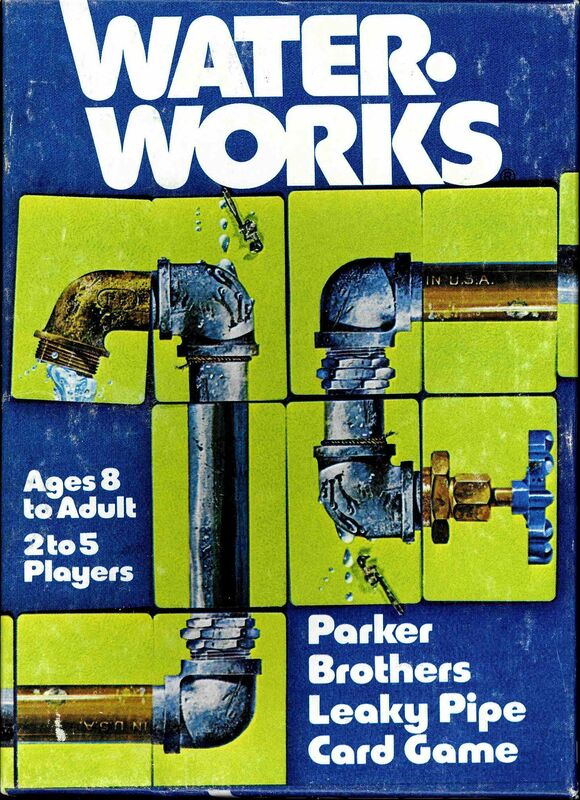 Play your cards to be the first to connect a correctly-aligned spout to your system of non-leaking pipes, of minimum-length or greater (varies with # of players). Along the way, you can give leaky pipes to others, and use your limited (2) wrenches to fix your own leaks, or try to draw new pipes to replace the leaky ones. Some versions allow up to 5 players.